This designer back case can make a perfect cover for iPhone 6 plus and 6s plus. The case is durable, lightweight, slim and stylish. Its ability to resist impact ensures good protection to the device. The case offers secure fit and is made from flexible plastic. It can be easily applied and removed from the mobile. This transparent back case cover is stylish and due to its transparent design it will not hide the beauty of your smart device. 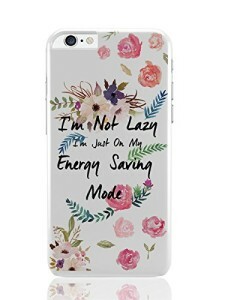 The product is specially design for iPhone 6 plus and 6s plus and comes with precision cut outs. The cover gives a good grip and can be easily installed or removed. Are you a fan of Breaking Bad? Then you cannot really miss out on this iPhone 6 plus/6s plus cover. It comes with an exclusive “Heisenberg” branding and is tough. 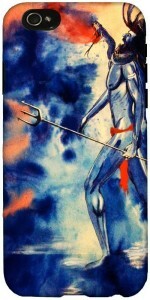 The case is designed to fit perfectly on the specified iPhone model and can be installed or removed with ease. The cover provides easy access to all the buttons and ports and can provide long service. Protect your iPhone and also make your own style statement with this designer cover which is slim and form fitted. It is made from best quality polycarbonate and ensures the best durability. The cover has a matte finish which adds to its looks and also makes it easier to grip. This case can provide great protection to your smart phone. 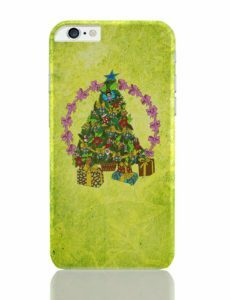 This beautiful iPhone cover is ideal for this Christmas season. It has a nice look that is different and unique. The case is made from high quality polycarbonate which makes it highly durable. The cover has matte finish which adds a classy look to the design. If you are planning to visit the beach soon or you just love getting tanned in the beach this iPhone case can be the best companion to make you remember of your last vacation. It comes with high quality printing on the back which is proof from scratches. This polycarbonate made cover has a slim fit, is lightweight and can provide good protection to your iPhone. 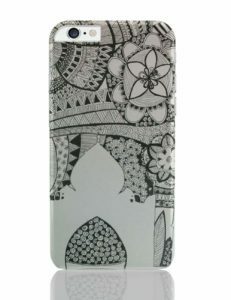 This polycarbonate mobile case cover comes with abstract patterns printed on the back. The black and white finish gives this case a unique look. The case is slim and lightweight and can provide great durability. This cover can protect your phone from scratches, finger prints and dust. 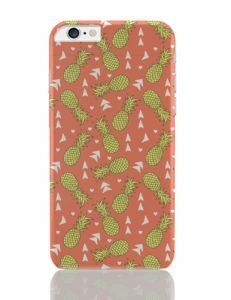 This designer iPhone cover comes with all over pineapple prints that look unique and interesting. The case has a form-fitted design and is light in weight. The case provides protection to your device and the matte finish makes it easier to grip. Add great protection along with classy style to your iPhone 6 plus/6s plus with this beautiful armor case cover. The shock absorbing dual layer design of the cover circulates the impact of fall evenly giving your iPhone protection against drops. The case is designed to offer better grip and the flower mint design gives it an ideal designer look. This designer iPhone 6s plus case has a slim fit, is light in weight and is made from polycarbonate. It can protect your device from stains, spills and scratches. The high quality printing at the back comes with warranty of lifetime. Precision molds give easy access to all the ports and buttons of the mobile. 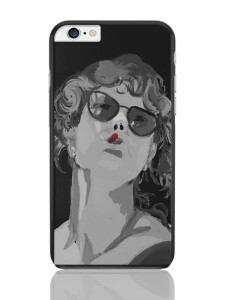 This slim, light and sturdy polycarbonate back case cover comes with cute prints in black and white. The printing covers all the sides and enjoys life time warranty against wear and tear. 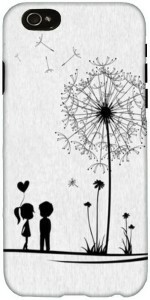 The case has a form fitted design and it provides effective protection to your iPhone. This designer bumper case has been made from high quality TPU plastic and provides great coverage to the sides of your mobile device. This cover provides a secure fit, is durable, slim and extremely light in weight. The cover ensures easy control to all the ports and sensors. It is also available in another color combination. This designer case comes with crystals embedded through ultrasonic craft which makes them highly stable and long lasting. The cover is anti-scratch and provides protection from slip. High quality PC along with IML coating ensures the best longevity of the case. The cover fits perfectly on your iPhone 6 Plus/6s plus and ensures the most luxurious look. This polycarbonate made thin and light case protects your valuable device form scratches, finger prints and drops. Use of 3D imaging technology ensures the best resolution of the image and also makes it peel-proof. Precision cut outs ensures easy access to the ports and buttons. Give complete protection to your smartphone from scratches and drops with this high quality designer polycarbonate made back case cover. The exclusive design coupled with the bright color gives it the unique look. The printing is present on all the sides and it comes with protection against peeling and fading. This electroplated TPU designer case for iPhone 6 plus and 6s plus is designed through advanced technology which ensures a coherent metal coating on the case that can provide long life without chipping. This ultra slim case adds no bulk to the device while giving it maximum protection from dust, scratches, spills and damages. It comes with precision cut outs to ensure easy access to all the ports and controls. 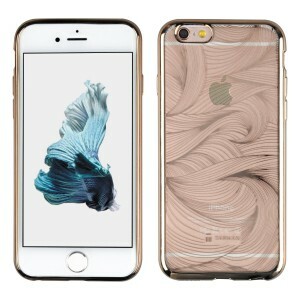 This artistic and unique designer cover for iPhone 6 Plus /6S Plus can be an ideal one for stylish women. The print at the back has a careless look to it which can very well fit with the personality of independent women of today. The case is slim and form fitted. The imported polycarbonate material gives this case a matte finish ensuring the best long life of the case. This cover can give your smartphone effective protection from dust, scratches and damages.